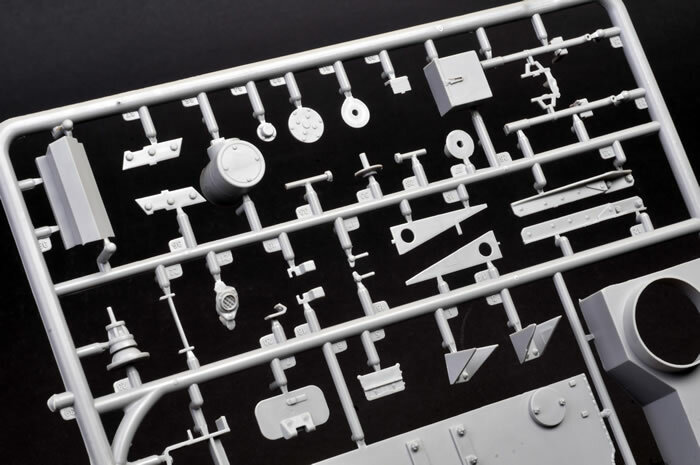 Media and Contents: 464 parts in pale grey plastic; 12 parts in clear plastic; 208 track links in brown plastic; photo-etched fret with a 70 parts; length of metal cable; bag of steel track pins; decals for three vehicles. Advantages: Good level of detail; thoughtful compromise between detail and buildability (straightforward engineering); many useful options. The Panzer II was the backbone of the Panzercorps during the early Blitzkrieg campaigns. However, the Battle of France proved that the thin armour and inadequate armament of the Panzer II made it unsuitable for operations against other tanks. 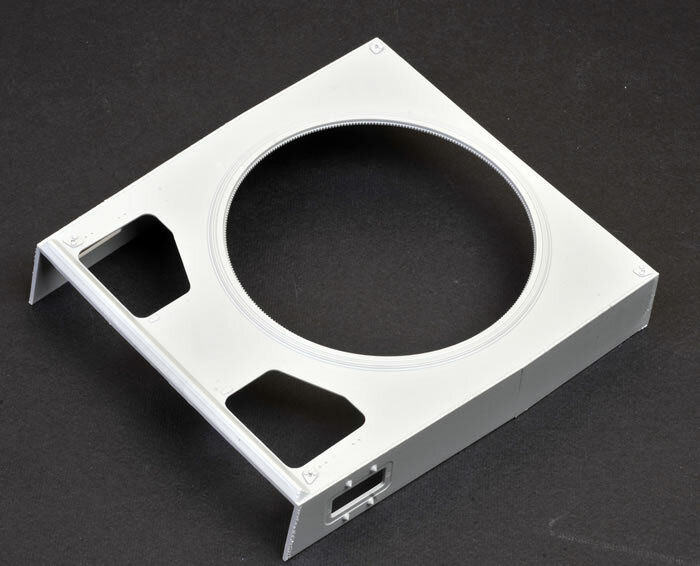 Nevertheless, development of the design continued. The final production model was the Panzerkampfwagen II Ausf. L Sd.Kfz. 123 "Luchs" (Lynx). It was later redesignated Panzerspähwagen "Luchs". 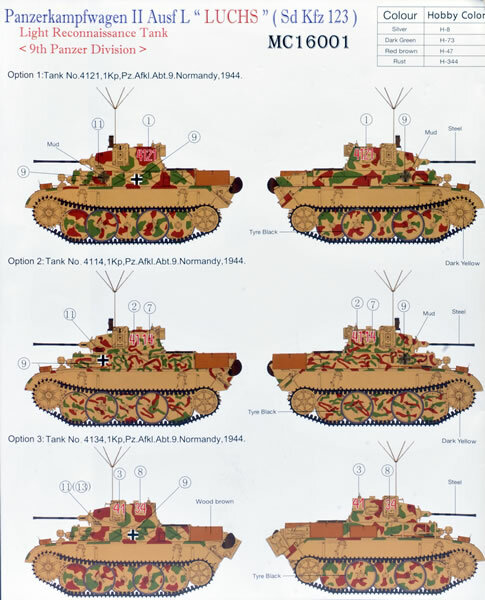 The Luchs was designed as a fast, armoured reconnaissance vehicle. The general layout of the Ausf. L was similar to the Ausf. D and E versions of the Panzer II. The most noticeable distinguishing feature was the interleaved suspension, more commonly associated with the Tiger and Panther. In fact, with its stocky, squared-off design, overlapping road wheels and general profile somewhat resembling a Tiger I, this little vehicle must have given an unjustified shock to many Allied and Soviet tank commanders! Despite being 30% heavier than the Panzer II Ausf. C, the Luchs lived up to its requirement for speed. Its 180hp Maybach engine and six-speed ZF transmission propelled the machine at over 60 kilometres per hour. This speed was essential, as its maximum armour of 30mm was no thicker than its obsolete predecessor. Armament comprised one KwK 38 20mm cannon and one co-axial machine gun. 131 Luchs' were manufactured between April 1942 and May 1943. These vehicles were deployed to Wehrmacht Panzer and reconnaissance units on the Eastern and Western fronts. The final 31 Luchs' were armed with the very effective L/60 50mm anti-tank gun. 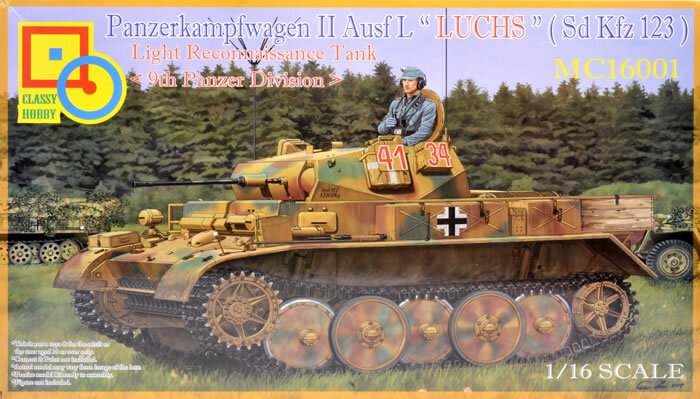 This is the first time that a Luchs has been available as a 1:16 scale kit. 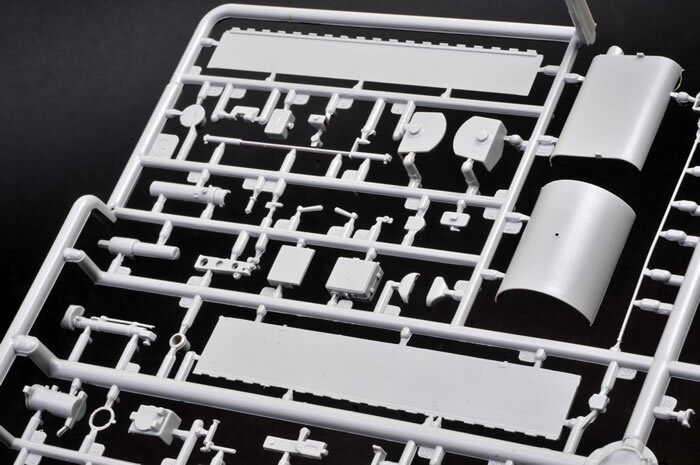 The box is big, but not huge, and it is packed to the brim with sprues. Classy Hobby’s 1:16 Panzerkampfwagen II Ausf. 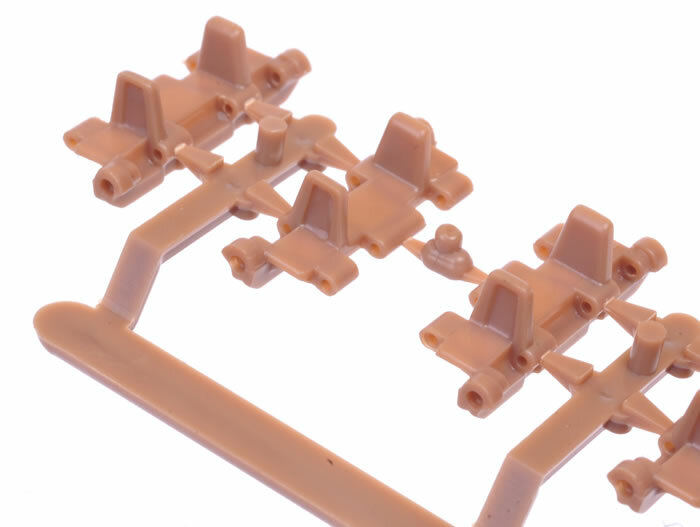 L Luchs comprises 464 parts in pale grey plastic, 12 parts in clear and 208 track links in brown plastic. 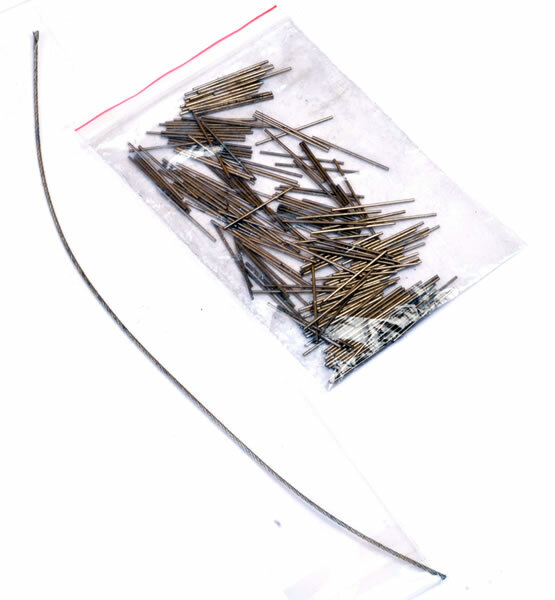 Multimedia parts include a photo-etched fret with a further 70 parts, a length of metal cable and a bag of steel track pins. Moulding quality is generally very good, with just a little bit of light flash here and there. 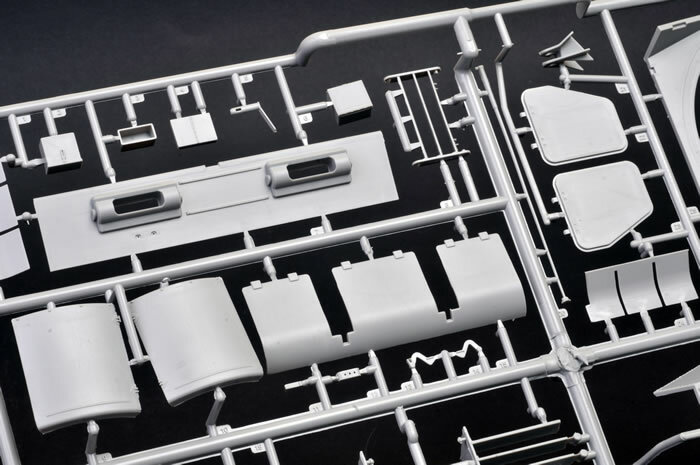 The kit is broken down conventionally, with a “flat pack” lower hull comprising a floor (incorporating the front hull plate), sides and arear plate. The space between the rear plate and the engine bay is filled with fan belt and engine fan detail. 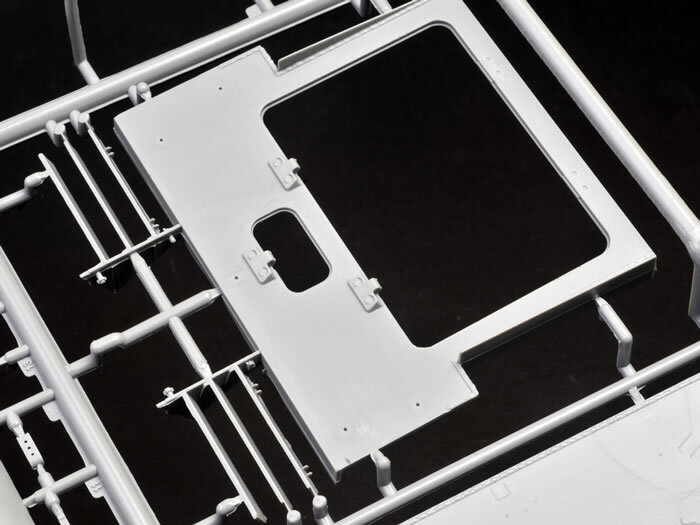 This detail will be visible through the ventilator grilles on the engine deck, so it is very welcome. There is no other interior detail inside the hull. The running gear is made up from internal mounts for the working torsion bars, the torsion bars themselves, and the relatively simple interleaved road wheels, drive sprockets and idler wheel, shock absorbers and smaller detail parts. 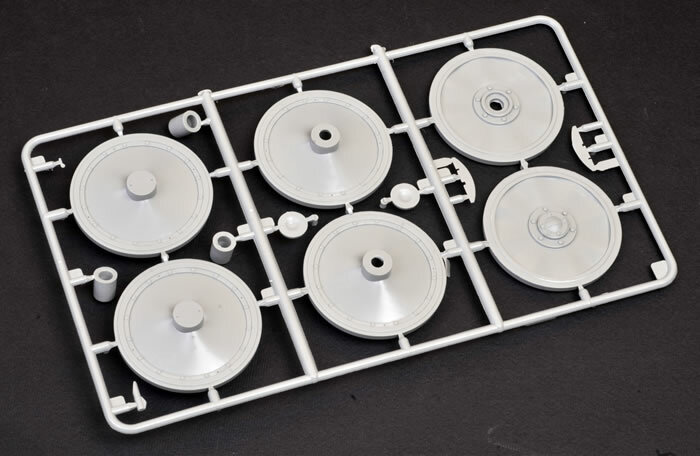 The wheels are moulded with the tyres in injection moulded plastic. 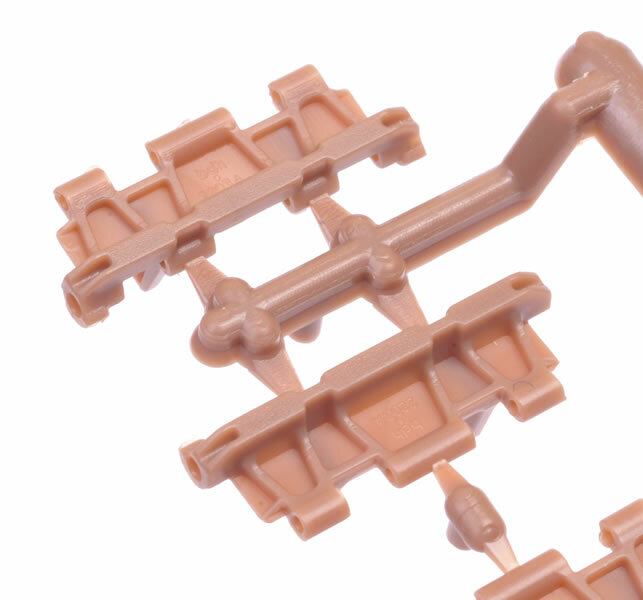 The tracks are made up from individual single links and are joined with metal pins, just like the real thing. The links feature solid guide horns with a lightening “dent” in the outer surfaces. 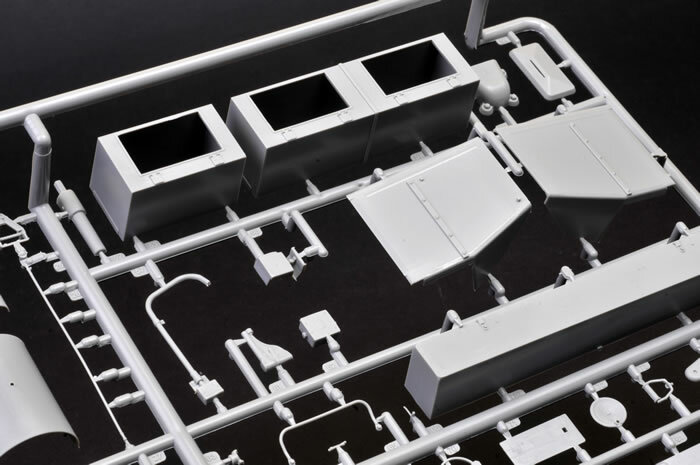 All the hatches are separate parts so they may be posed open or closed. Note that the crew’s hull hatches actually swing down inside the vehicle. 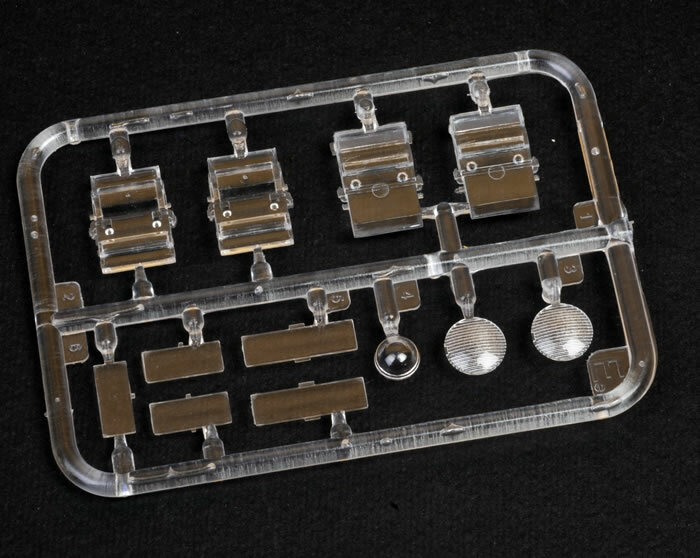 Visors are well detailed including clear vision blocks and may be posed open or closed. 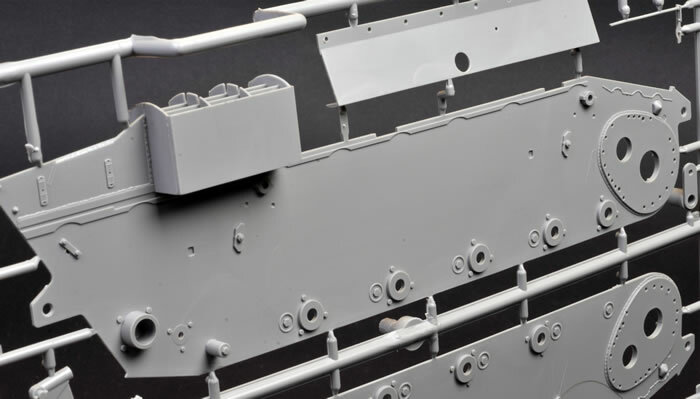 The upper hull is broken down into forward, mid and rear sub-assemblies, while the turret is made up from an upper shell and separate parts for the mantlet, bottom and rear plates. The interior of the turret bristles with detail including the radio, crew seats, visors, water bottles and stowage. 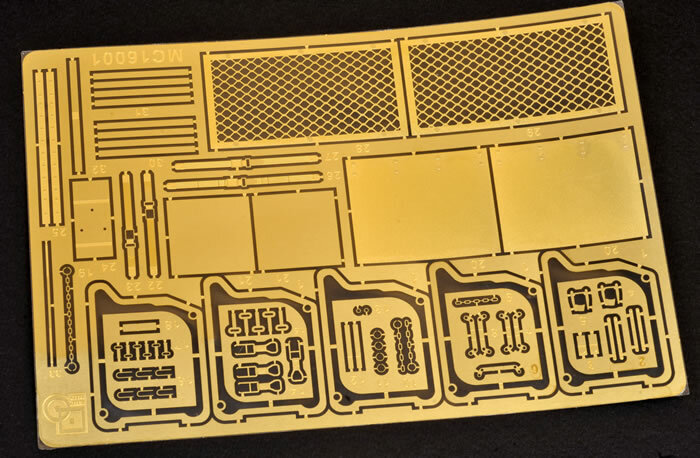 The photo-etched fret supplies detailed including grilles and smaller parts. 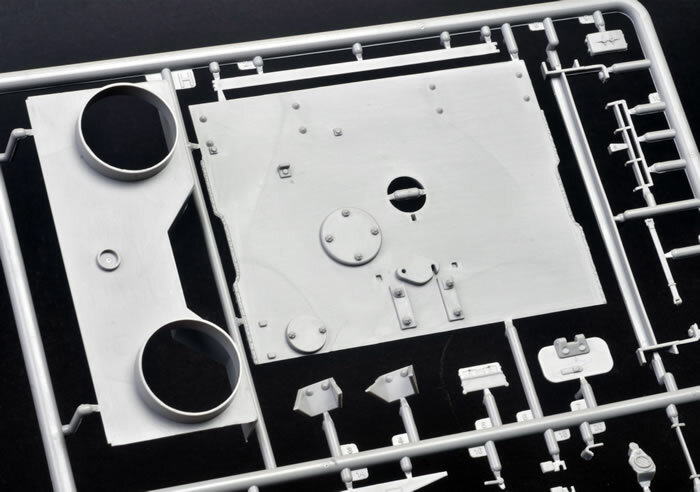 Both early and late style rear turret plates are included. The late style had a wider hatch. The rear hatch is hinged and may be left to open and close with careful application of glue. The late version also had a modified Commander’s hatch and some different turret details. These are also provided in the kit and pointed out in the instructions. 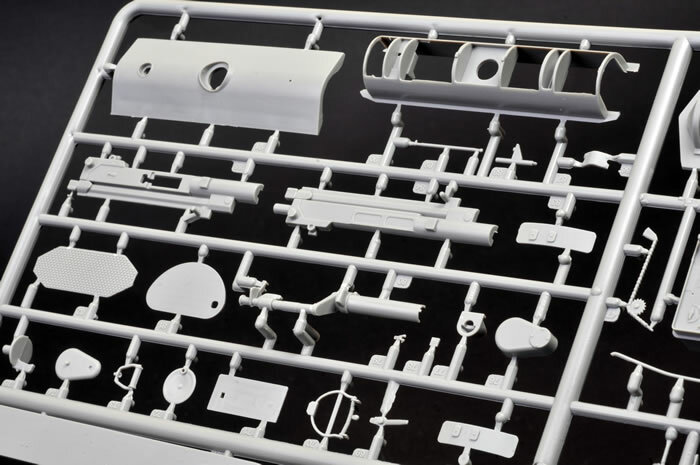 The gun barrel and muzzle is a single plastic piece. 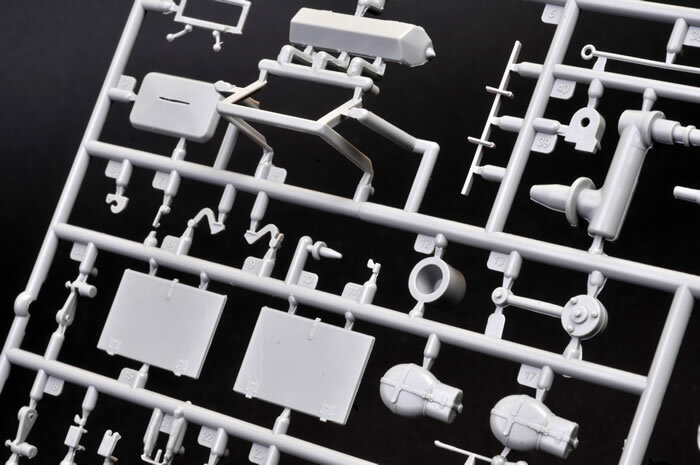 The main gun, sight and coaxial MG 34 are nicely detailed. 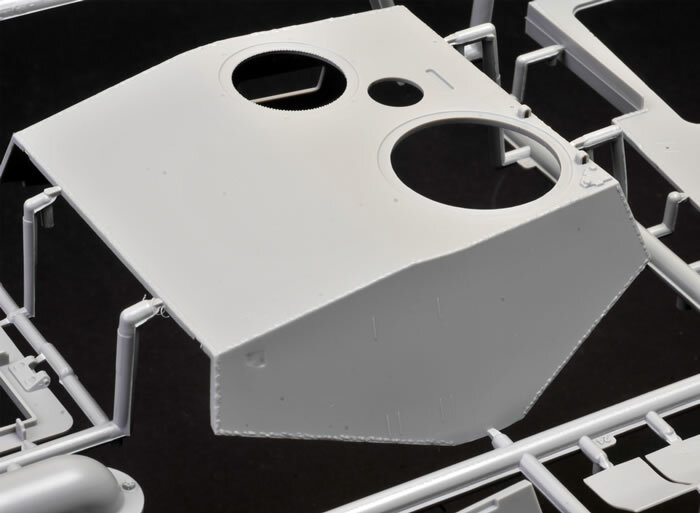 Plenty of external stowage is supplied, including spare tracks, stowage boxes and jerry cans. Each of the three vehicles has a different stowage arrangement and the instructions clearly illustrate these. 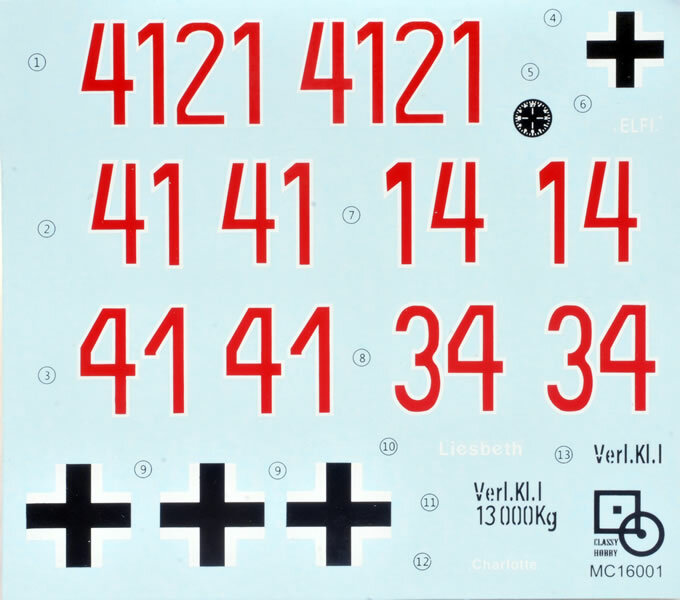 All three marking options are fitted with the star aerial. This is made up from fine plastic parts. The three vehicles are all finished in a messy mottle of Dark Green and Red Brown over Dark Yellow. The decals are simple, colours are good and registration perfect on my sample. 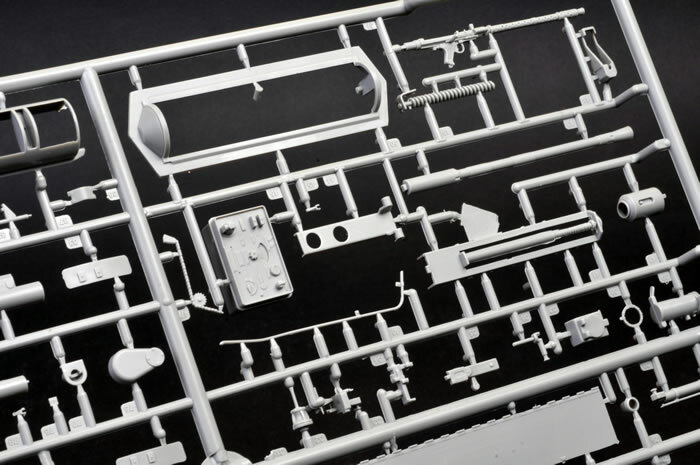 In comparison with Trumpeter’s 1:16 scale King Tiger with nearly 1,300 parts, Classy Hobby’s Luchs looks eminently buildable! 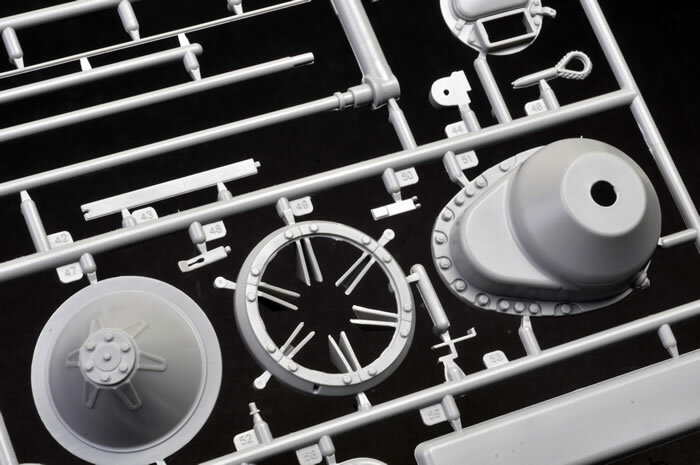 Classy Hobby’s Luchs features a well-detailed exterior with interior detail where it is needed most – inside the turret, which will be visible through open hatches, and underneath the large open cast grilles of the rear engine deck. Stowage and turret configuration options are welcome, and are all clearly pointed out in the instructions. 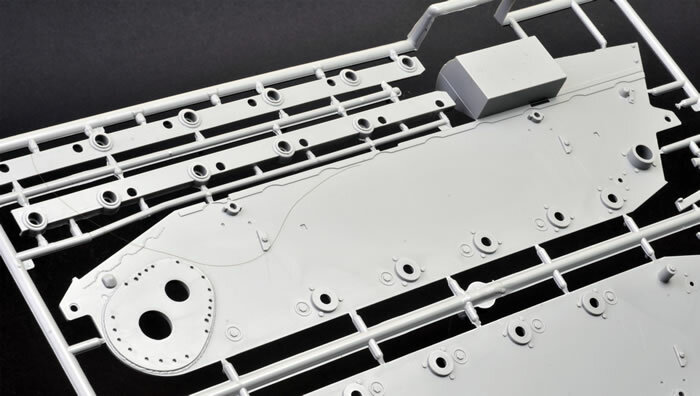 The tracks are quite straightforward too, with just one piece per link and steel pin assembly. 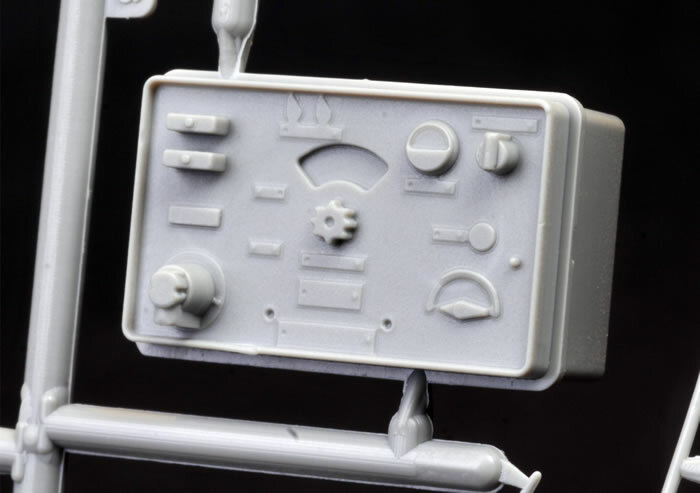 Classy Hobby has also announced two crew figures for this kit – a driver and a Commander. I’ll look forward to seeing these in due course. 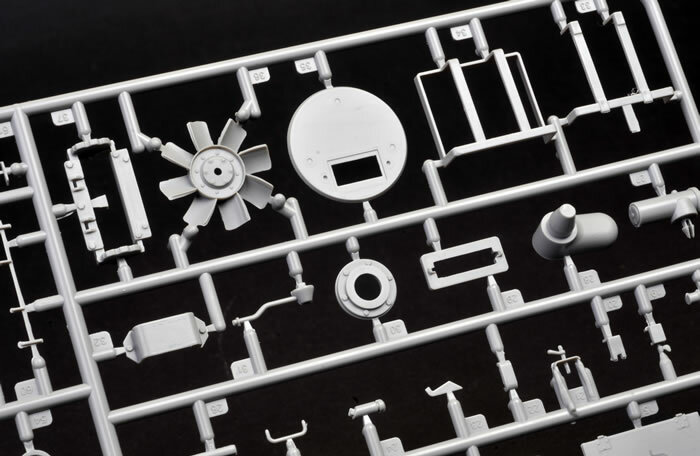 In summary, I think that Classy Hobby has chosen an ideal subject for their first 1:16 scale kit. The Luchs is a tough looking vehicle with its squared-off lines and interleaving road wheels, but it is quite compact too – an ideal size for this large scale. I don’t think I’ll be able to leave this in the box for too long!